Gauer’s Custom Fabrication Department has expanded the company’s sandblasting capabilities to now accommodate products that can fit in our 12′ x 17′ x 10′ tall booth. 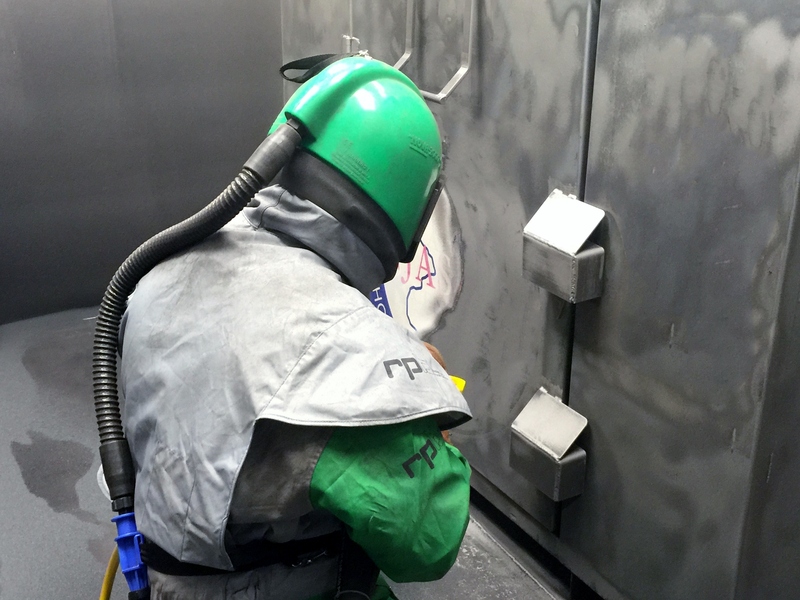 This booth is fitted with a media reclaiming system and can be used with a vast variety blast materials. The new service will go live in late January 2015 and already has an immediate backlog. Gauer’s ongoing mission better serve existing customers is never ending. This new booth will be of great help in both the refurbishing of our machinery, and in the cleaning and refurbishing of our large containers / donation bins. These outdoor products tend to need some tender loving care after a number of years facing the elements, especially in the North Eastern United States. Gauer Metal Products, established in 1946, has spent years supporting its customers. The company has stood the test of time and will always be there to help keep your products looking and working like they were brand new. Why work with a “fly by night” company when you can be supported by a tried and true partner in business? Please feel free to contact your Gauer sales representative with any questions about this service.